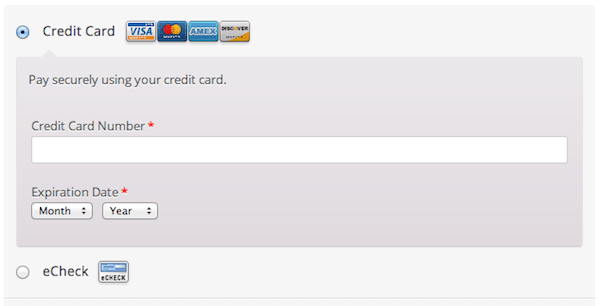 Authorize.NET CIM Payment Gateway for WooCommerce allows you to process credit cards right on your WooCommerce website! Your customers don’t need to be redirected to a service like PayPal, and you can even process eChecks as well. This plugin supports subscriptions and pre-orders too! Get it at a 82% off discount! How can Authorize.NET CIM Payment Gateway for WooCommerce help your business? Authorize.NET is one of the most popular credit card processing companies around, offering efficient, safe and affordable credit card and eCheck processing. Authorize.NET CIM Payment Gateway for WooCommerce is a safe, easy to use plugin which allows you to process credit cards and eChecks without redirecting your customers elsewhere. Note: This plugin requires an affordable Authorize.NET account, and an SSL certificate for PCI compliance. This Authorize.NET CIM extension maximizes the control you have over your checkout process. Gone are the days of unreliable redirects and lost customers due to faulty payment gateway integrations. Give your customers the power to pay with their credit card or eCheck right on your website. Ever notice how websites like Amazon store your payment information for future purchase? With Authorize.NET CIM Payment Gateway you can do the very same! Allow your customers to save multiple payment methods for a fast, efficient and safe checkout experience. Their data is saved on Authorize.NET’s secure servers, so your liability is reduced to a bare minimum. You must have CIM service enabled for your Authorize.net account for this feature to work. Customers with U.S. bank accounts can pay for your goods or services using their bank account’s routing and account number. Bank accounts can also be saved as a payment method on Authorize.Net’s servers. Authorize.NET is the perfect gateway for the WooCommerce Subscriptions Plugin, providing support for all of its features: payment date changes, subscription date changes, subscription suspension, subscription cancellation, subscription reactivation, recurring amount changes, and payment method changes. Authorize.NET CIM Payment Gateway for WooCommerce also supports WooCommerce Pre-Orders Plugin, allowing you to save your customer’s payment information upfront, and charge them automatically once the pre-order is ready to be shipped. Download Authorize.NET CIM Payment Gateway for WooCommerce today at a 82% discount! Authorize.NET CIM Payment Gateway for WooCommerce is licensed under the GPL, which allows you to use it on as many websites as you'd like without having to repurchase.